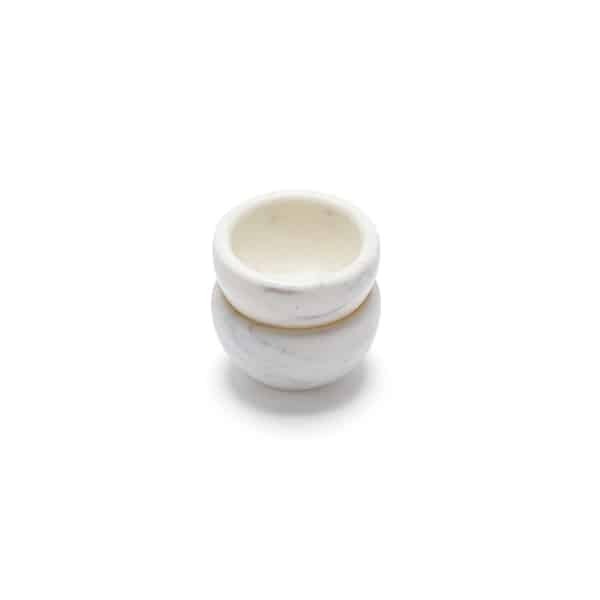 Our Salt and Pepper pinch pots come as a pair and are the perfect complement to your table or kitchen bench. 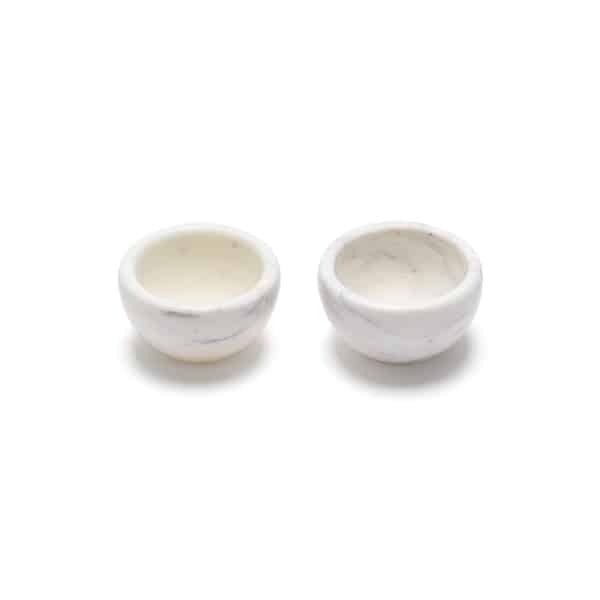 Every great cook knows seasoning is the key, and these natural marble pots are functional as well as offering the sensory experience of pinching salt or pepper and sprinkling it over seasonal ingredients. Handcrafted honed natural white and grey marble. They pair beautifully with our Salt and Pepper Spoons. Please note these are handmade products and marble is a natural material, so every product differs slightly in size and colour. All of our pieces are original with different veining and patterning which makes each piece uniquely beautiful. Marble may contain fissures, holes and pits, these are not seen as faults but rather signs of their natural appeal. * Just be sure to treat your marble with love and be wary of staining. * When purchasing from our online store our customer service team will select your pair. If you would prefer to hand-select your item please visit us in-store.